As far as I can gather Mistral Trains is a new company. It's very encouraging that someone thinks that the market for French HO scale trains is sufficiently strong to start a brand new business with all the associated financial risks attached. They seem very ambitious and this is a link to their website. They have only a few models in their catalogue at the moment eg this fine looking autorail. But it's the Sous Marin CC65000 that I have my eye on. Provided by my sister in Billericay: pork loin, mashed potato and mashed carrots. No picture but it was excellent and FREE! Nothing: the house in Billericay is silent. But a female Billericay taxi driver was telling me the other night that she hadn't had a holiday in 18 years - found that surprising. 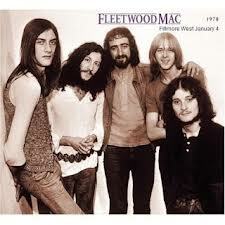 But she was taking two nights off in September to see Fleetwood Mac on consecutive nights at the O2 in London. She seemed thrilled when I told her that I had seen the original line up in Glasgow in 1969 or 1970. On further questioning it seemed that Fleetwod Mac were the only group she liked. 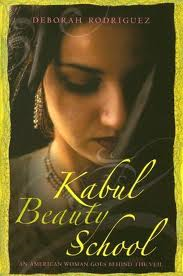 Finding fascinating, "The Kabul Beauty School" by Deborah Rodriguez. The memoir of a volunteer Aid Worker who goes to Afghanistan with a whole team of medics when she has no skills except hairdressing. At one point the team leader tells her that there is nothing practical she can can do that day so maybe she should stay in the hotel room and pray for the success of that day's mission. "Good Christians that they were, they figured that, since I had all this time on my hands, I should sit in my hotel room and pray for the team while they were out in the field. I'm a good Christian, too, but there are some things I'm not so good at. Intercessionary prayer is one of them. I tried, though. I'd sit in my hotel room and start to pray for the team, and then I'd hear one of the Afghan vendors going by singing about his turnips or whatever, and I'd just have to go outside to investigate. Then I thought I'd try listening to spiritual music to drown out any alluring street noise. I put on a CD and my headset and tried to sit still but quickly got bored. I just decided that I was a naturally fast prayer. Instead of taking three hours, I'd whip out those prayers in about three minutes. Then, I was out the door." p 46. It's the issue illustrated by the lines I've underlined and italicised that engrosses me. Will Joe Bloggs kept more protection from God if I pray for him for a solid 3 hours rather than if I was simply to utter once, "Please, God, be merciful to Joe today." ?